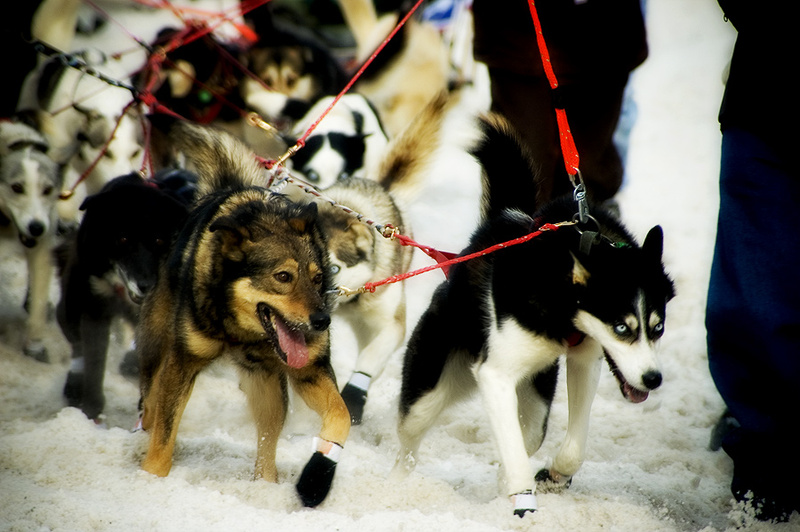 Iditarod ceremonial start in Anchorage, Alaska. Love the eyes on the dog on the right. Beautiful capture. the looks and strength are wonderful.